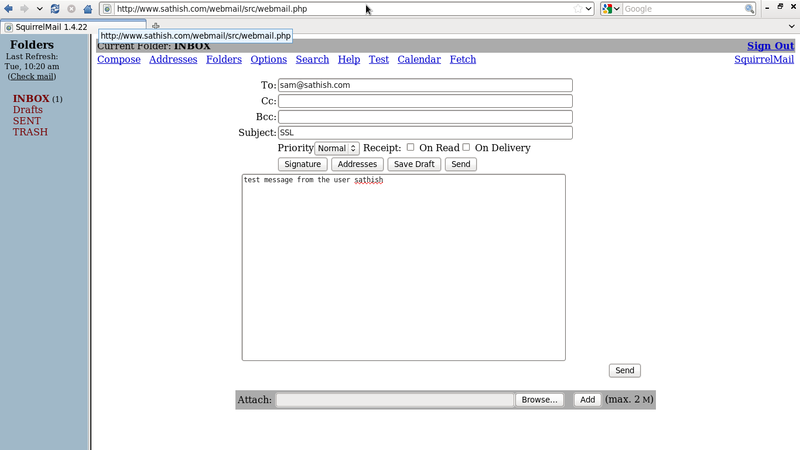 Before install postfix, remove sendmail from the server. Because sendmail is the default MTA in Redhat/CentOS. SMTP Authentication is advertised by the SMTP Authentication server, requires a client to authenticate, while finally both parties have to mutually accept and support the chosen authentication procedure. Originally invented as a Host-to-Host protocol, with SMTP Authentication, a User has to identify itself and after successful authentication, reception/transmission of his/her emails is granted. 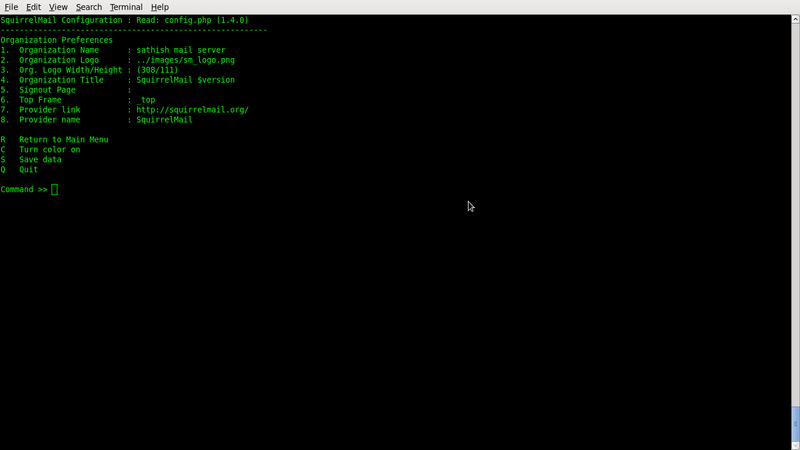 The simpliest Mail client we can think of is a telnet client that connects to the SMTP port 25. We’ll be doing it the hard way, because we want to exclude side effects that might be introduced by other, more comfortable Mail clients. Since our remote machine is part of the network defined in mynetworks it will be allowed to relay no matter if we configured SMTP AUTH correctly or not. This will not help us to prove, our configuration for SMTP AUTH works. Let’s prove that our test setup will not allow us to relay messages. 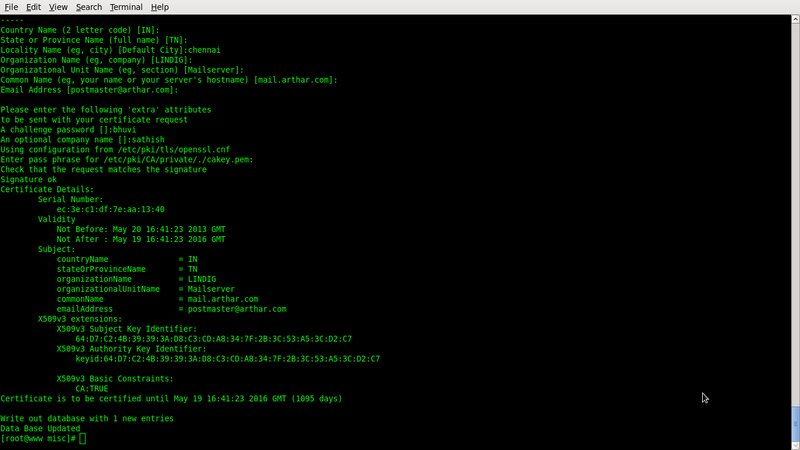 We telnet from our remote machine. Keep in mind that relaying means: Sending a message through Postfix to a remote user. The value we provide with RCPT TO: must not be a local user. SMTP servers need to decide whether an SMTP client is authorized to send mail to remote destinations, or only to destinations that the server itself is responsible for. Usually, SMTP servers accept mail to remote destinations when the client’s IP address is in the “same network” as the server’s IP address. SMTP clients outside the SMTP server’s network need a different way to get “same network” privileges. To address this need, Postfix supports SASL authentication With this a remote SMTP client can authenticate to the Postfix SMTP server, and the Postfix SMTP client can authenticate to a remote SMTP server. Once a client is authenticated, a server can give it “same network” privileges. 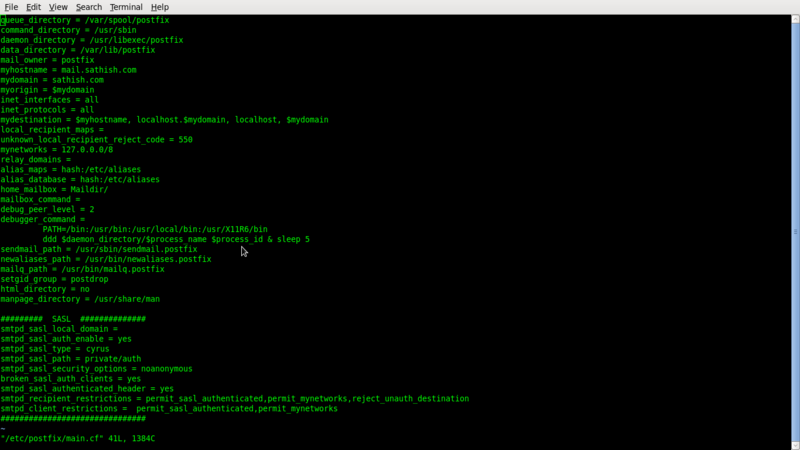 Postfix supports two SASL implementations: Cyrus SASL (SMTP client and server) and Dovecot SASL (SMTP server only). Both implementations can be built into Postfix simultaneously. its provides plain and login as mechanisms for the Postfix SMTP server. As the Postfix SMTP server is linked with the Cyrus SASL library libsasl, communication between Postfix and Cyrus SASL takes place by calling functions in the SASL library. The SASL library may use an external password verification service, or an internal plugin to connect to authentication backends and verify the SMTP client’s authentication data against the system password file or other databases. Always set at least the noanonymous option. Otherwise, the Postfix SMTP server can give strangers the same authorization as a properly-authenticated client. 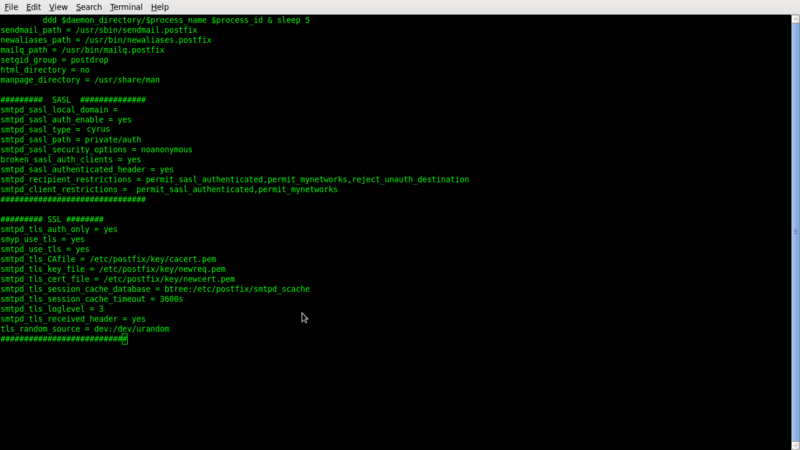 we’ve have enabled SASL authentication in the configuration we need to verify that Postfix serves us the new feature. 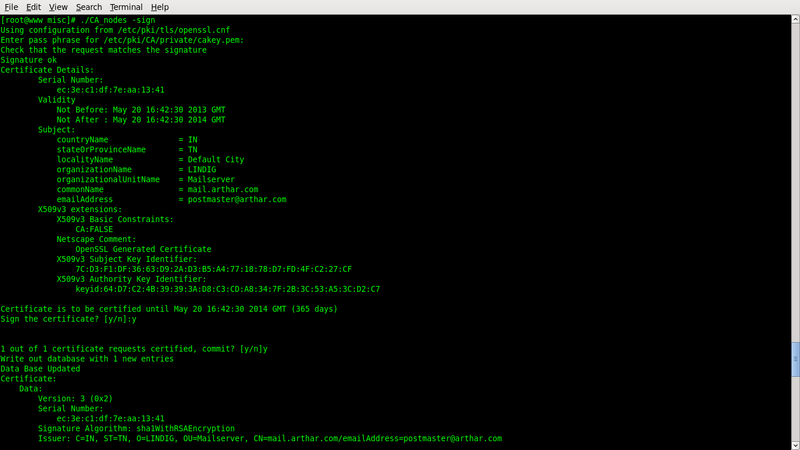 We check from a remote host and telnet to the Postfix server. PLAIN LOGIN DIGEST is the order of the mechanisms in which a Mail client would try to authenticate to. The AUTH=PLAIN statement is the one that broken clients need in order to recognize that they may use SMTP AUTH. When a TLS connection is being established the host establishing the connection has to validate itself. This is because someone else could hijack the connection and establish an encrypted connection. The remote host probably wouldn’t notice and pass sensible information. Therefore certificates are used to provide unique information that proves that the host encrypting the communication really is the host your client wants to talk to. edit countryName_default and 0.organizationName_default and provide values that make sense to your setting. then uncomment organizationalUnitName_default and add a value. 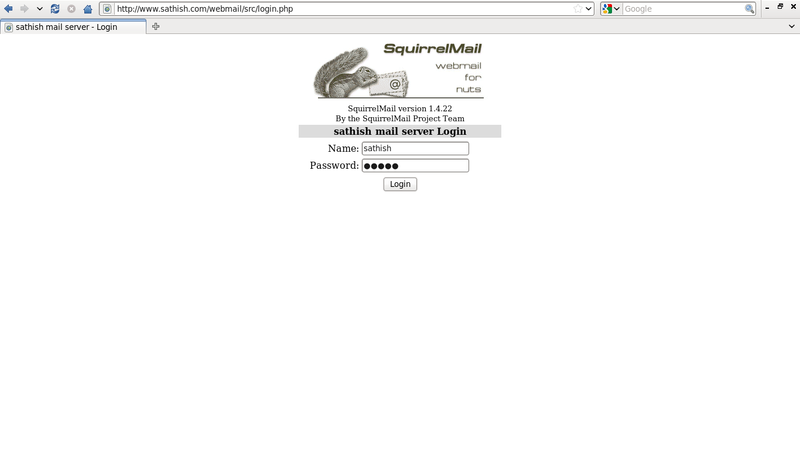 We will use Mail server in this HOWTO. 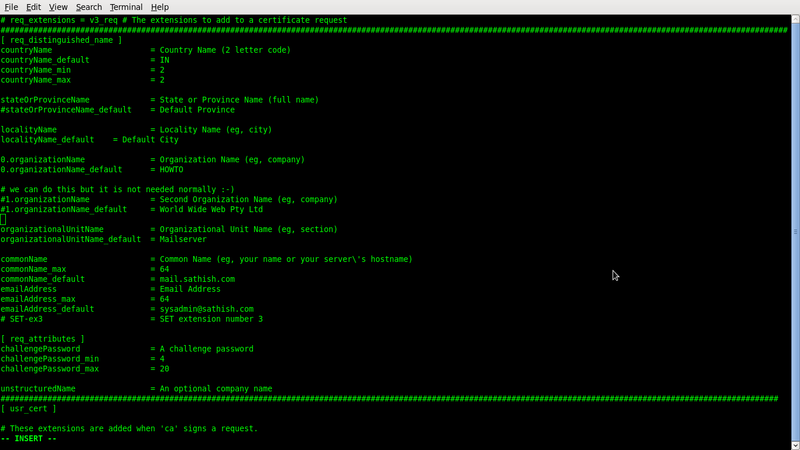 add the lines commonName_default (must be the name of your Mail server!) 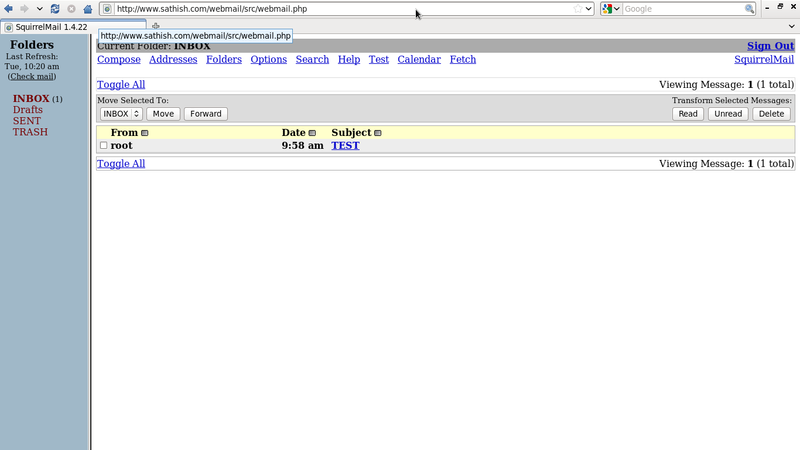 and emailAddress_default and provide values specific to your setting. 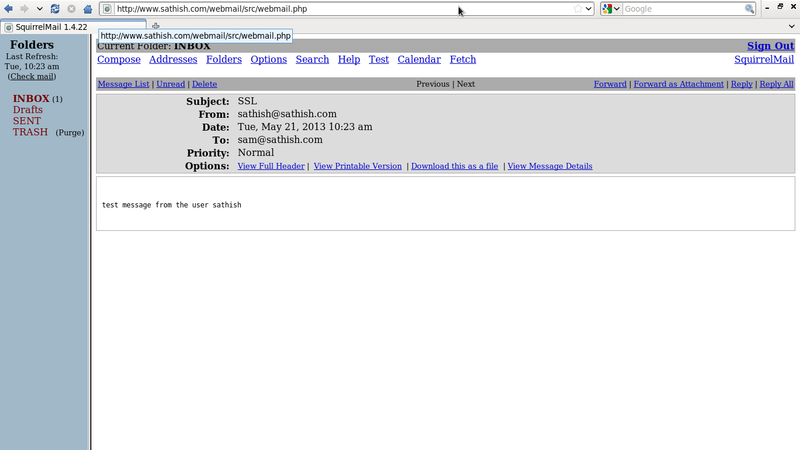 Our Mail servers hostname is mail.example.com and postmaster@sathish.com is in charge. That’s it and it will save us a lot of typing as we will build not only one cert. Save the file and read on as we will have to edit yet another file. 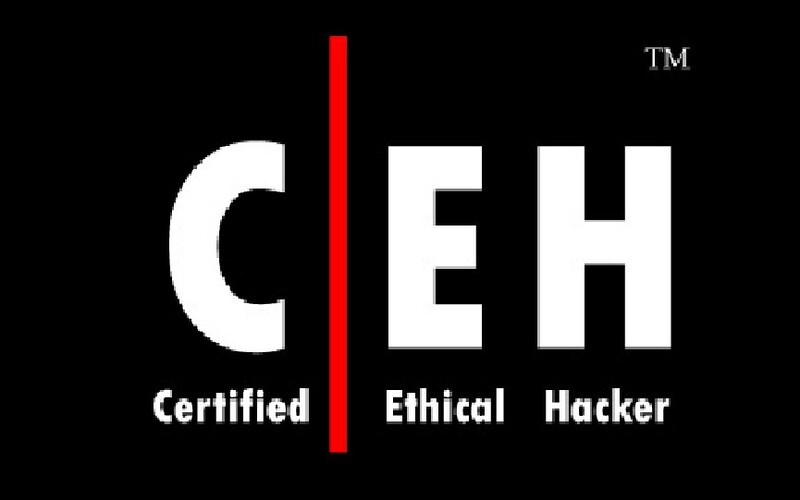 Consider this: Usually certs are crypted. That’s a good idea when you take them along with yourself and the disc you have it on gets lost. It won’t be of any use to the finder unless that person also knows your secret passphrase… But then if you don’t take it with you, but leave it on a server this feature can become a real problem to the availability of your service. Why? Any time you restart the server and the server wants to get its hand on the cert, the cert wants to be given the secret passphrase and the server hangs in there waiting to pass that task on its start list. 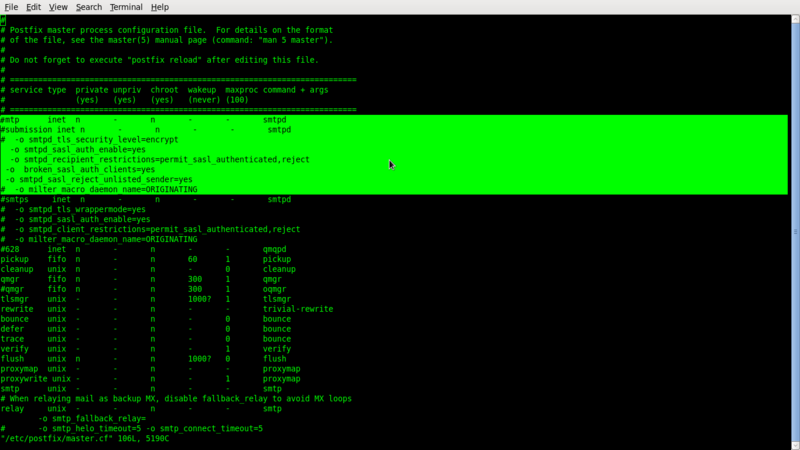 And it waits and waits and waits… until you enter the secret passphrase at the command prompt. The bottom line is: No passphrase, no service. So we will not create certs with secret passphrases, as we will not always be available when the server needs to be restarted or starts itself, say after a power failure. In order to have certs that aren’t crypted we will have to add a parameter to the script that we run when we create a cert. So let’s cd to the directory that holds the script and create a backup first before we edit it. Search for # create a certificate and add -nodes to the line below that begins with $REQ. When your done with this search for # create a certificate request and do the same again. This is the private SERVER CERT. We generated it in order to request an CA to sign it. It contains our private key. That is your public SERVER CERT. It has been signed by a CA in this case ourselves. This is the CERT of the CA Authority. We created it when we made ourselves a CA. • Now select option 1 (Organization Preferences). • Now select option 2 (Server Settings). • Now select option 3 (Folder Settings). •Now select option 4 (General Settings). I need some urgent help, please reply back Sir. Hello Sir, I need some urgent help, can you kindly reply me back ASAP.